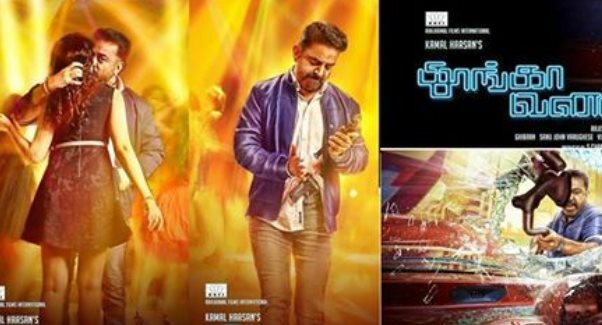 The shooting of actor-filmmaker Kamal Haasan starrer Tamil-Telugu thriller "Thoongaavanam", which is an official remake of French film "Sleepless Night", is likely to be wrapped up over the course of the next month. "The team is currently shooting in a specially erected set on East Coast Road in Chennai. More than half of the shooting is already done and at this rate, the film should be wrapped up by next month," a source from the film's unit told. A racy thriller, the film is said to unfold in a single night in a bar. It also features Prakash Raj, Madhu Shalini, Sampath Raj, Kishore and Asha Sarath in important roles. Haasan plays a policeman, while Prakash Raj will be seen as his partner. Being directed by Kamal's long-time associate Rajesh M Selva, the film is simultaneously being made in Telugu as "Cheekati Rajyam".